There are plenty of ways to improve the security of your home, from improving the locks on your doors and windows to installing movement-activated lights outside your property. But you can also make better use of technology to increase the level of security, thanks to a range of smart devices that can be installed in your home and can help you keep an eye on your property, even if you’re out and about. Thankfully, burglary is not as common as it once was. According to the latest figures from the Office for National Statistics and the police, there were around 664,000 burglaries in the 12 months up to September 2017; that’s down by 3% from the year before and by 72% from 1995. 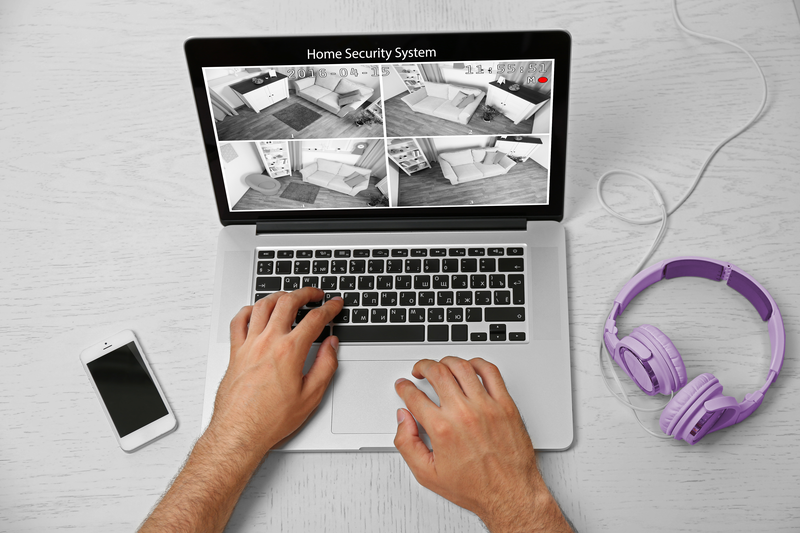 Nonetheless, that’s still a significant number of people going through the stresses of dealing with a break-in, so it makes sense to take whatever measures you can to ensure your home is secure. How can you make your property smart? You can now buy a smart doorbell, which comes with a built-in camera, enabling you to see exactly who is at the door, day or night, no matter where you are using the related app. Depending on the model, it may be also able to recognise strangers and alert you if someone is at your door, even if they haven’t knocked or rung the bell. Another option is a dedicated smart camera. It’s essentially a CCTV system, but you can view the footage on your phone wherever you are. These cameras will generally record everything, for as long as 30 days in one go, with that footage then saved on the Cloud allowing you to go back and access it at any time. There are even smart locks, which can allow you to gain entry into your home using only your smartphone. Bear in mind that you may need to pay ongoing subscription fees with some of these devices, as well as the initial outlay. Neary points out that there are a host of benefits to using such smart security devices, such as the fact they can be integrated with other technology in the home, such as Amazon’s Alexa, while they also remove the need to remember certain key codes or keep keys safe. There can be a financial benefit to having these devices installed, besides the fact that they improve the security of your home, as some insurers will reduce the price of your home insurance. You should also ensure you do research on just how secure these smart devices are, and what protection is in place to prevent hackers from accessing any of your personal information that may be stored on them.